Leupold 111768, 111769 BX-3 Mojave 10x42mm Binoculars FREE SHIPPING! The Leupold BX-3 Mojave binoculars are built for portability and ergonomics. The open bridge design reduces weight dramatically, while their armor coating makes them rugged as well as portable. As usual for Leupold, they also feature top quality optics. Cold mirror coated BAK4 prisms and fully multi-coated lenses provide excellent light transmission, producing an image that is clear and bright with exceptional color fidelity. The widened field of view makes it easier to track moving objects, ideal for tactical use, while the smooth controls make it easy to focus in on a target. The twist-up eyecups give it a long eye relief, making long-term use comfortable. 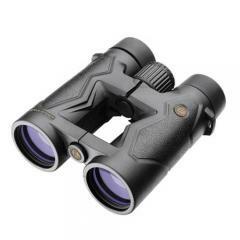 ©2002-2019 CopsPlus.com: Leupold 111768, 111769 BX-3 Mojave 10x42mm Binoculars FREE SHIPPING!